Many routers are ugly, but that does not mean you should “hide” them. 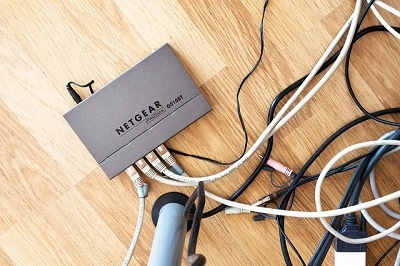 Place your router in the open – free of walls and obstructions. That will help getting the best WIFI signal. If you can – try to elevate your router. Also, it’s recommended to set it up in a central area – so you get a better coverage throughout your home. Make sure your WIFI network is password protected. If it’s not – strangers (or your neighbors) will be able to connect to it, and use your bandwidth. It’s important to restart (reboot) your router on regular basis. You don’t have to do it on daily basis of course, but do it at least few times each month. Many routers nowadays can operate on two frequencies – 2.4 GHz and 5 GHz. 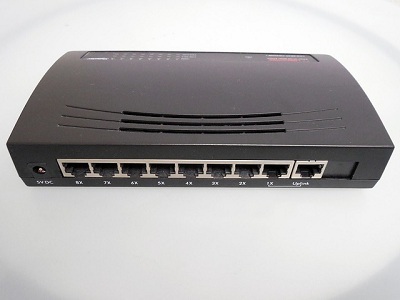 These routers allow you to have two separate networks running at the same time. Instead of connecting all your devices (smartphones, computers, tablets, etc..) to one network, use both. The 5 GHz frequency is much better for high-bandwidth uses (for example – streaming video). If some of your devices are far away from the router – consider buying a WIFI extender. It can boost your WIFI speed. These devices are cheap and can be bought online.